Problems of Initiating International Knowledge Transfer: Is the Finnish Living Lab Method Transferable to Estonia? Regional competitiveness is a policy priority of the European Union. This article explores cross-border knowledge transfer for regional integration and development. The focus of this research is the role of cross-border co-operation in development of innovative forms of co-operation, initiating and supporting knowledge transfer. The article presents a theoretical-methodological analysis of new complex tasks and theoretical paradigms emerging in the context of increasing integration and convergence of cross-border co-operation: method’s innovation approach, knowledge and knowledge transfer. A cross-border co-operation organisation’s potential model for enhancement of complex regional co-operation has also been described based on Helsinki-Tallinn Euregio’s case. The article then focuses on investigating the international transferability of the Living Lab’s method. The article concludes by presenting the opportunities and principles of activities of a cross-border co-operation organisation to support the knowledge transfer process. 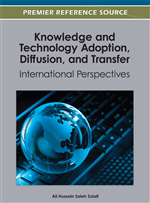 The present article is a research on knowledge transfer in cross-border co-operation. The case of two metropolitan regions – Helsinki and Tallinn are explored. Helsinki-Tallinn Euregio - a cross-border co-operation organisation which is a tool for promotion and initiation of is analysed. The article presents a theoretical-methodological analysis of new complex tasks and theoretical paradigms emerging in the context of increasing integration and convergence of cross-border co-operation, frameworks which allow successfully tackle and solve such tasks: method’s innovation approach in the frameworks of developing innovation theory, knowledge and knowledge transfer focused approaches. Thereafter a CBC organisation's potential model has been explained based on the investigation of 35 representatives of CBC organisations, its various options, advantages and disadvantages are described. Proceeding from the research focus of the present article, which is the role of CBC in development of innovative forms of co-operation, initiating and supporting knowledge transfer, the initial model has been developed based on the results of the interviews. The attempt has been made to formulate which characteristics of the model are suitable especially for enhancement of more complex regional co-operation. Following, the article focuses on investigating the international transferability of a concrete complex co-operation task, namely the living lab’s method as one of the modern methodology of open innovation which is about to gain large popularity. For that purpose a special interview methodology was compiled and 14 in-depth interviews were conducted with persons who are involved or would potentially be involved in adoption of the living lab method in Tallinn and Helsinki. In the course of the interviews the prerequisites of the method’s transfer, potential areas of usage and realisation options of the method were investigated. Based on the researched case some general conclusions were made about the factors hindering more complex international knowledge transfer. Finally, the conclusions were made about the opportunities and principles of activities of a CBC organisation to support the knowledge transfer process researched.